Ok, maybe those thoughts only belong in my head and not anyone else’s, but certainly you can attest that the world is full of unhappy waiting people. What happens if the car at the front of the line doesn’t go as soon as the light turns green? And what happens if the cars in the drive thru start to get backed up? Why do grumpy faces generously appear in certain stores that start with W and only keep one register open during the day? The human race just might be called a “race” for more than one reason- we want to move on to the next thing. We don’t enjoy waiting, we don’t want to wait, and especially if the circumstances are beyond our control. There’s nothing like waiting on God. No, truly, there is nothing like waiting on God. God alone knows when we are ready for the answer for which we’ve been waiting. If I gave my 12 year old son a car for his birthday this year, what would happen? A. Something horrible because he’s not qualified to drive it yet. or B. He would have to sit and stare at it because he’s not qualified to drive it yet. God knows when we are ready for the answer for which we are waiting. He wants us to be equipped for the answer He’s giving and He knows how hard it would be to sit and stare at the answer while we continue to work on our qualifications. God wants to be our Strength in the waiting. Through the process of the wait, we have the privilege of learning how to rely on Him. We build our strength in the Lord through the waiting process. Standing poised at the edge of an opportunity, with a ready ear for the captain’s word to move, requires more character and strength than barging ahead on our own. Standing still, listening to His voice, having our hearts open to His Word- these “waiting room” activities are carving and toning our spiritual muscles. God wants to give us something far greater than the gift of an answer. I love to receive gifts from my husband. We rarely give gifts to each other for various (ahem, 7) reasons, (known as children.) But you know what I enjoy WAY more than a gift from my husband? The gift OF my husband. You see, God wants to give us the answer we’re searching for, dreaming of, longing after…but He really wants to give us something much, much bigger than that gift. He wants to give us Himself. He longs to draw us close in a relationship with Him, so deep that we will forget all about that answer we are anxiously waiting for. Because we have found the answer in Him. How do we begin to enjoy waiting on God? By making the choice to allow His spirit to work in us. To move our thought patterns toward His desires. 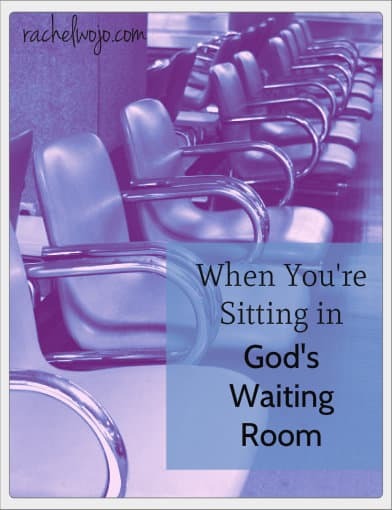 To know that every single minute of every day that we are in the “waiting room,” He’s not waiting. He’s preparing our hearts for the right direction. What we perceive as “waiting” is actually His wooing. Beautiful words and truths, Rachel! I have experienced the actual waiting room recently with my mom and your post describes perfectly what it feels like. I am also waiting for The Lord and resting in His promises as I learn a new normal in my life. My mom went home to Jesus on Saturday and as my heart aches I also know that Jesus is rejoicing. Thank you for heeding God’s calling by writing what He puts on your heart. This has blessed me so much this evening. Oh Mary! My heart aches for you so deeply at this time. I wonder if your mama and mine are hugging and talking about their writer girls down here on this earth. Prayers for you, dear sister in Christ. My son who is a handsome and smart 17 year old feels “stuck” in life right now – and he’s too young to feel stuck. I love love love your article above and wish I could translate it to a teenage boy! I’m so glad I found you on Pinterest – you are truly inspiring. Praying for Mary G as she waits for the Lord to guide her on her journey with Him through this season of her life. Rachel, I have learned so much from God about waiting patiently even when it’s hard! For me, I believe patient waiting is based on trust, faith and hope in the Lord and in His plan for us and for others. I usually need to remind myself that it isn’t always about me and that He is answering me in His perfect time! This hope brings me peace when I am waiting on the Lord! I am so thankful that I found you recently. Your devotions have truly become the ‘highlight’ of my day! You have such a gift with your words! God is good, Pam. Glad you are here!! Thank you so much for this post! The Lord certainy speaks His truth through you…thank you for allowing Him to use you in such powerful ways. I too, am in His waiting room (well, several!) 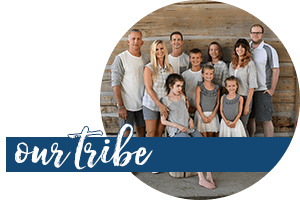 – the waiting room of marriage that many Christian wives are in, and the waiting room that will someday lead me to the ministry that He has for me. This post was so encouraging and enriching to me, thank you! Have a blessed day. Beautifully said! Thank you for your insight! I’ve always been one to hurry through. Now, I am learning to enjoy the journey! I just love when God makes SURE I get a message by placing it in my path when I need it most. I just read about waiting this morning in Max Lucado’s You’ll Get Through This. And again here, written so beautifully and as if just for my eyes. When I think about how God has transformed my heart, my faith, my life in just the last ten years I can see why His perfect plan for my life included a waiting room. He has and continues to purify and prepare my heart for what lies ahead. Pretty exciting stuff when I examine this time from that angle. Thank you So much for posting this today. You always touch my heart with your inspiration! oh I’ve been wanting that book! Bless you Girl! I read your articles & I try to believe, my faith just seems broken. I lost my little boy last year in a horrible accident & I pray to God to show me that he is safe, well, happy but I feel nothing in return. I want that relationship but for me it’s not there & that saddens me. Does God not want to help me? Thank you for your article though, hopefully I’m next in line. Donna, I am so very sorry for your loss. God does want to help you; He loves you so very much. Sheila Walsh has a book called “God Loves Broken People” and I highly recommend the book. The Bible promises that anyone who seeks Jesus when they search for Him with all their hearts, they will find Him. If there is anything further I can do to help you in your search, please let me know. 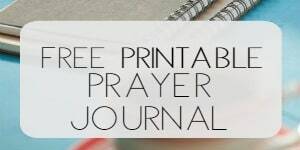 Prayers for you today!!! Donna – I just wanted to say how much my heart hurts for you. I can only imagine the pain you carry each day. I’m praying that God makes himself known in the days ahead. Sometimes, we can’t go with what we feel. We have to remind ourselves of what we know to be true of God. And what I know is that he loves you, that he is near to the broken hearted and that he has felt the searing loss you now feel. Praying for you tonight. My heart truly goes out to you. Even though we believe IN God, sometimes the most difficult thing can be to BELIEVE God, especially in painful situations. You are in my heart and mind tonight. Keep looking to Him…He is there and loves you so very much. His power and presence are with you. Thinking of and praying for you, Donna. God bless. Hey you! Glad to see your face!! Thank you Friend. God is good. Thank you so much for writing this. Waiting on God makes so much more sense to me now. I have been tempted to get up and leave the waiting room several times over the past 6 months but knew I would just have to come right back and sit down and behave 🙂 Reading this has given me hope. Thank you and may God bless you with hope also. Bless you Jackie! God is good through the wait. He knows the best for us! Thank you for your encouragement back to me! I really needed to see this! I’ve been in the “waiting room” for years and I’ve constantly seen my friends get promoted. I’ve been waiting on the same promotion but to my avail, I seem to never succeed. Maybe it isn’t my time or season. I constantly ask myself and The Lord when. This puts it all in perspective. I just need to wait patiently. My time will come. Thank you for these words! 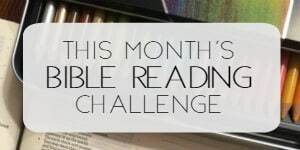 KT- I read a portion of Lysa TerKeurst’s book last night that helped me so much. “…there are plenty of times where we clearly see the hand of God in difficult circumstances. We look back and marvel at how God brought great things out of challenging situations. But there are plenty of times when God, in His sovereignty, does not open open our eyes to what He is doing. He wants us to trust Him, no matter what is happening.” I loved this because it helps me grasp how much I need to give Him the control. Bless you, Girl- God’s got it!! Thank you Rachel for allowing God to speak through you. This message couldn’t have come at a better time. I have received a call to enter ministry, but have been learning that the call is from God and he will reveal the particulars as I am ready to receive them. There’s a great little book by Henri Nouwen entitled :The Spirituality of Waiting” that I recommend to everyone. I so desperately needed to read this and internalize it today. Pinned and saved on my board. Will be reflecting on this often throughout this year. Thank you so much. needed it myself again today. Blessings to you, Charlsey!